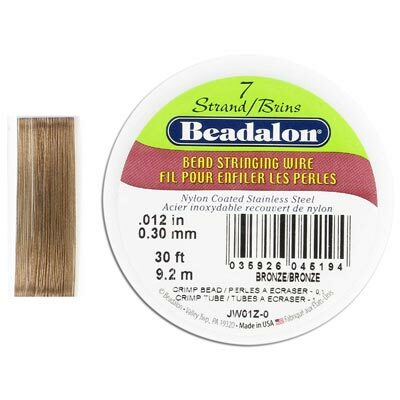 Tigertail Beading Wire - Frabels Inc.
Beadalon tigertail, 1x7 .020 inch wire, gold, 30 feet. (SKU# TT020B7/30G). Sold per pack of 1 spool(s). Beadalon tigertail, 1x7 .026 inch wire, bright, 100 feet. (SKU# TT026B7/100). Sold per pack of 1 spool(s). Beadalon tigertail, 1x7 .026 inch wire, bright, 30 feet. (SKU# TT026B7/30). Sold per pack of 1 spool(s). 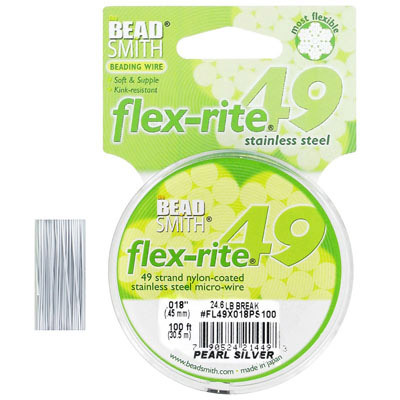 Beadsmith tigertail, 0.018", flex-rite, 49 strands, pearl silver, 100 feet. (SKU# TT018F49/100PS). Sold per pack of 1 spool(s). 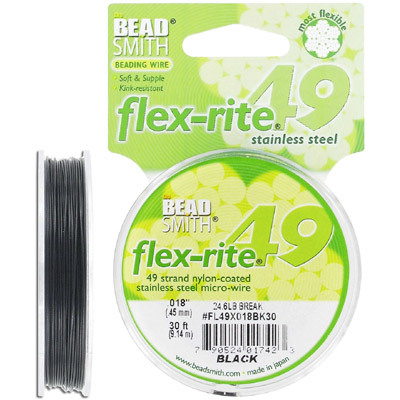 Beadsmith tigertail, 0.018", flex-rite, 49 strands, black, clear, 30 feet. (SKU# TT018F49/30B). Sold per pack of 1 spool(s). 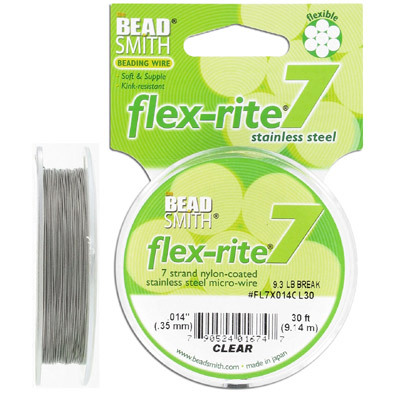 Beadsmith tigertail, 0.014", Flex-Rite, 7 strands, 30 feet. (SKU# TT014F7/30). Sold per pack of 1 spool(s). 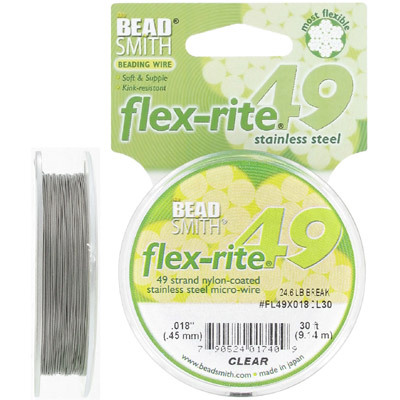 Beadsmith wire 0.012 inch thickness (49 strands) flexrite, clear, 100 feet. (SKU# TT012F49/100). Sold per pack of 1 spool(s). Tigertail, 1x7 wire silver (pearl) 30'. (SKU# TT018D7/30S). Sold individually. Wire 0.012 inch thickness (7 strands), black color, 30 feet. (SKU# TT012B7/30B). Sold per pack of 1 spool(s). 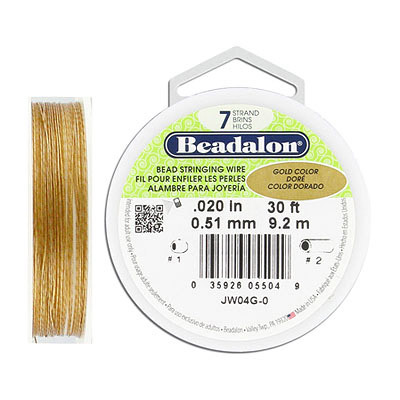 Beadalon wire 0.012 inch thickness (7 strands), bronze color, 30 feet. (SKU# TT012B7/30BZ). Sold per pack of 1 spool(s). 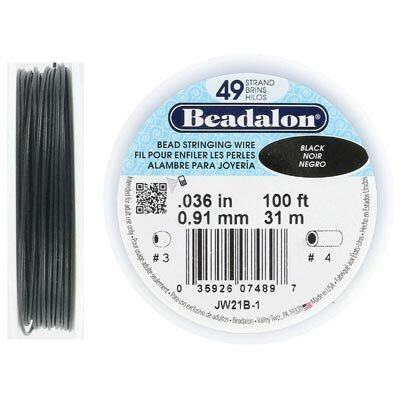 Beadalon wire 0.036 inch thickness (49 strands), black color, 100 feet. (SKU# TT036B49/100B). Sold per pack of 1 spool(s). 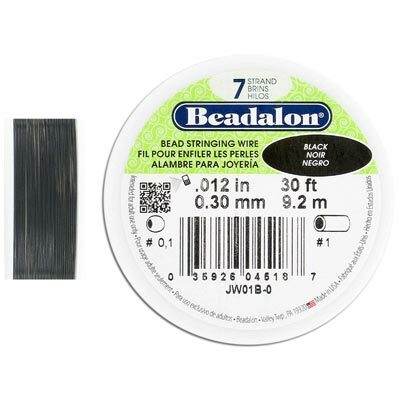 Beadalon wire 0.024 inch thickness (19 strands), black color, 100 feet. (SKU# TT024B19/100B). Sold per pack of 1 spool(s). 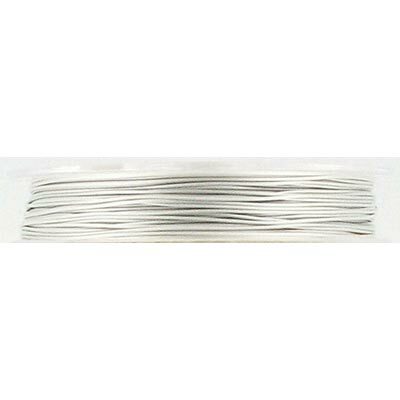 Beadalon wire 0.018 inch thickness (19 strands), silver color, 100 feet. (SKU# TT018B19/100S). Sold per pack of 1 spool(s). 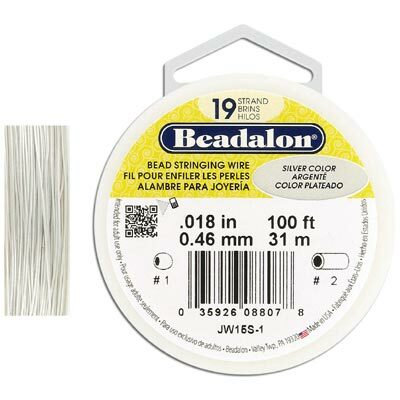 Beadalon tigertail, .012" (0.30mm) 1x19, 30ft, clear. (SKU# TT012B19/30). Sold per pack of 1 spool(s). Beadalon tigertail, stainless steel cable .093, 30ft. (SKU# TTCW93/SS). Sold individually. 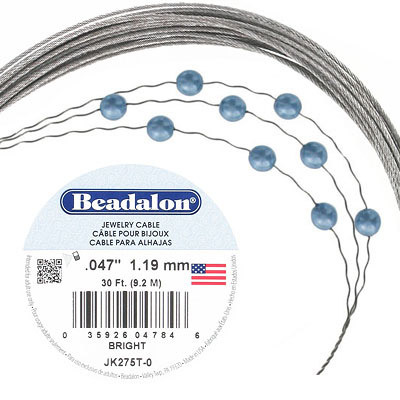 Beadalon tigertail, stainless steel cable .045, 30ft. (SKU# TTCW47/SS). Sold individually. 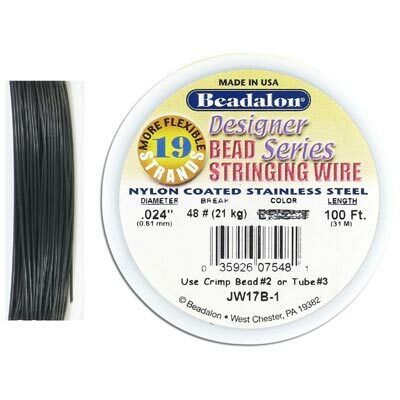 Beadalon tigertail, stainless steel cable .031, 30ft. (SKU# TTCW31/SS). Sold individually. 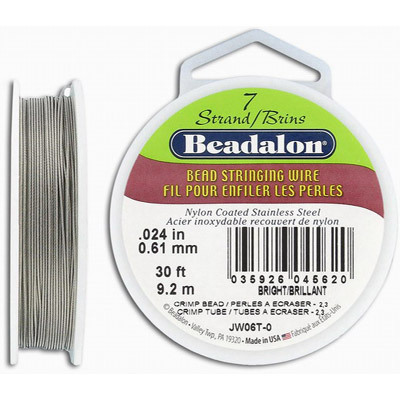 Beadalon tigertail, 30ft 1x49 clear wire. (SKU# TT030B49/30). Sold per pack of 1 spool(s). 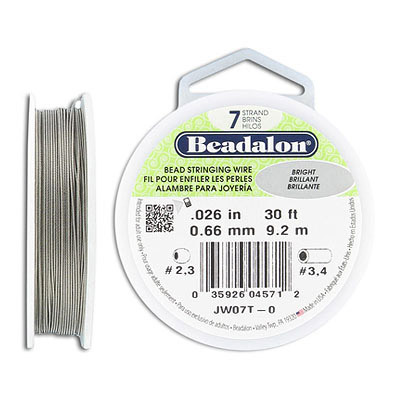 Beadalon tigertail, 1x7 wire 300ft clear. (SKU# TT026B7/300). Sold per pack of 1 spool(s). Beadalon tigertail, .026 1x7 tigertail 1000'. (SKU# TT026B7/1000). Sold per pack of 1 spool(s). 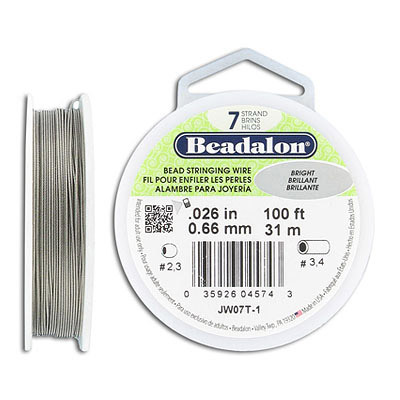 Beadalon tigertail, 1x7 .024 wire silver. (SKU# TT024B7/30S). Sold per pack of 1 spool(s). Beadalon tigertail, 1x7 .024 wire gold. (SKU# TT024B7/30G). Sold per pack of 1 spool(s). Beadalon tigertail, 1x7 wire .024 bronze 30ft. (SKU# TT024B7/30BZ). Sold per pack of 1 spool(s). Beadalon tigertail, .024 1x7 tigertail 30'. (SKU# TT024B7/30). Sold per pack of 1 spool(s).